Having fallen in love with ceramics, Rima took many more classes and hung out with potters every day in DC. By then she had married (Serendipity #2) and lived not far from Glen Echo Park where the National Park Service collaborated with artists and arts organizations to create a rich arts program in the spirit of the original Chautauqua movement. She learned kiln building and helped build an outdoor brick reduction kiln for the program. Although she became reasonably proficient at the wheel, most of her thrown vessels were altered from functional forms into more sculptural ones. Thinking a bit like ceramist Peter Voulkos - whom she had not yet heard of - she dented and punctured her vessels, crossing the traditional divide between ceramic crafts and fine art. 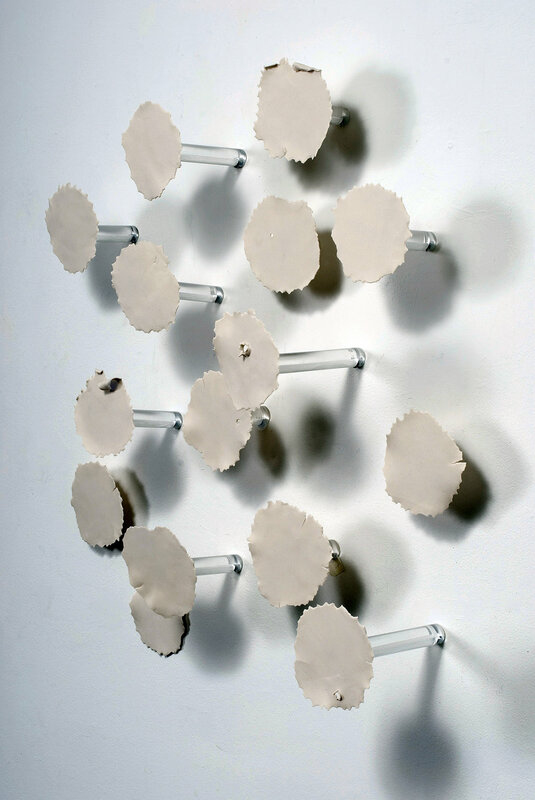 After Rima discovered porcelain clay, she sculpted delicate thin shapes into “petal pots.” Serendipity #3. These pots became prize winners. 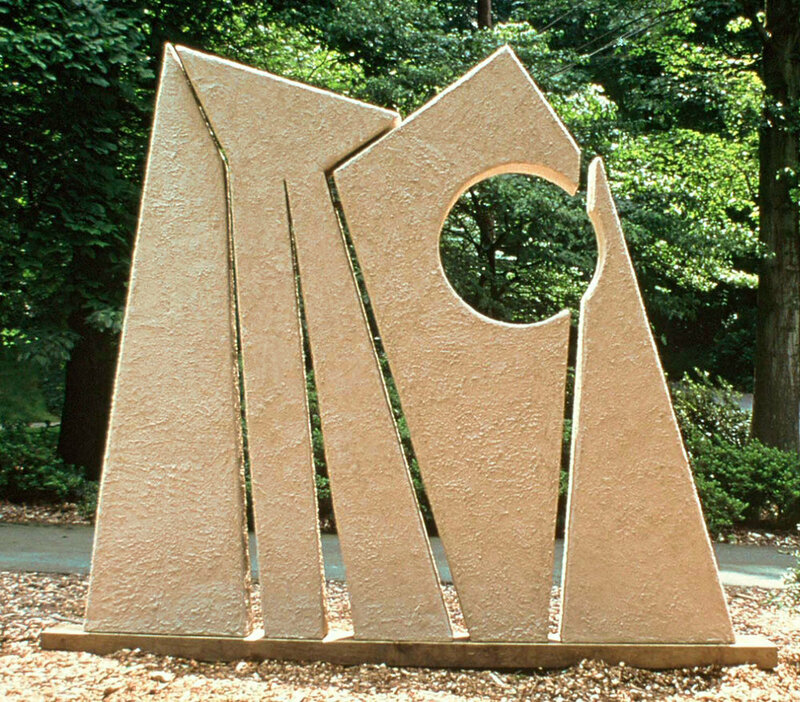 In the mid 1970’s she began showing at Frederick MD Art Fairs. “I was a scared neophyte then,” she says, “and didn’t know exactly how I would complete orders from the 30 people lined up at my first fair booth.” She figured it out and met the orders as promised. In 1976 Rima joined Touchstone Gallery as a founding member, has been a leader in the group, has shown consistently there ever since, and is now an Emeritus Member. Her most recent Touchstone solo exhibit, Eclipsed By the Cloud: The Detritus of Obsolescent Technology, is another expression of work in mixed media. This time she used telephones and other techno gadgets to build sculptures. "I am both in awe of human ingenuity and in despair at our propensity to create trash,” she says, “the environmental damage caused by our readiness to dump our stuff is immeasurable." Each of the sculptures in that exhibit demonstrated her concerns. Each addressed a different technology - calculation, photography, time measurement, etc. The base with of each piece is formed from technology's earliest expression before rising to the top with its latest and newest - which by the time the piece was finished, it was itself obsolete. Having begun her career as a ceramist, many years and many later media (Plexiglas, neon, steel, cement, wood, paper mâché among others), she has returned to clay. It was her first love, and now she finds it as seductive and satisfying as it was in the beginning. 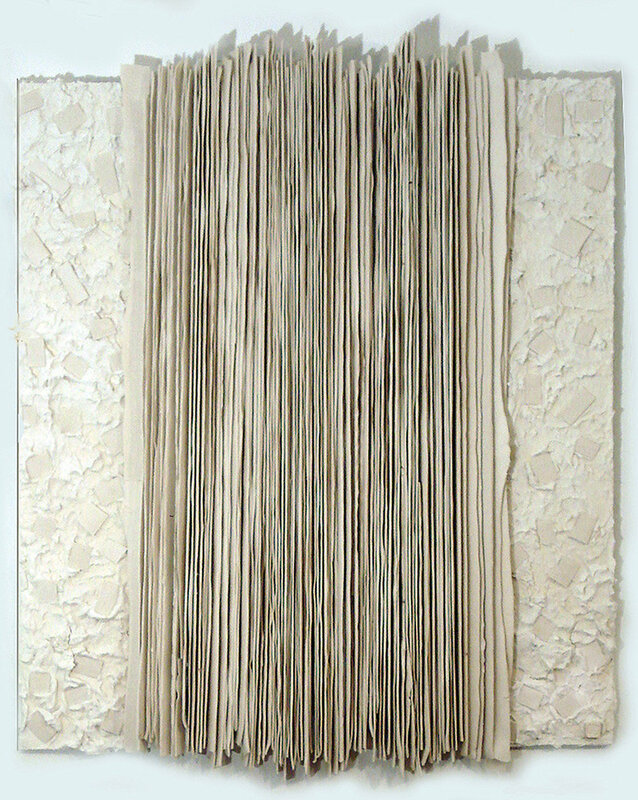 Combining it with other organic materials - wood, reeds, vine, stone - she draws on a natural affinity of materials that complement the abstract yet grounded work she is producing now.